Earlier today, linebacker Ty Van Fossen was named Division-III First Team All-Ohio by the Ohio Prep Sportswriters Association. Van Fossen, a senior from St. Matthew, had a team-high 90 tackles and a team-leading 16 tackles for a loss. It was the second straight season that the University of Cincinnati commit led the Purple and White in tackles. As a junior, the 6-foot-2, 215 pounder, recorded 92 stops on a Regional Championship team. Van Fossen becomes the 57th Stallion to earn First Team All-Ohio and the program's first linebacker since Josh Kusan in 2008. Click here for the complete list of former Stallion Football players who were named First Team All-Ohio. Defensive lineman Brandon Derrow and defensive back Anthony Sciarroni were named Second Team All-Ohio. Derrow, a senior from St. Paul, finished the season with 38 tackles. 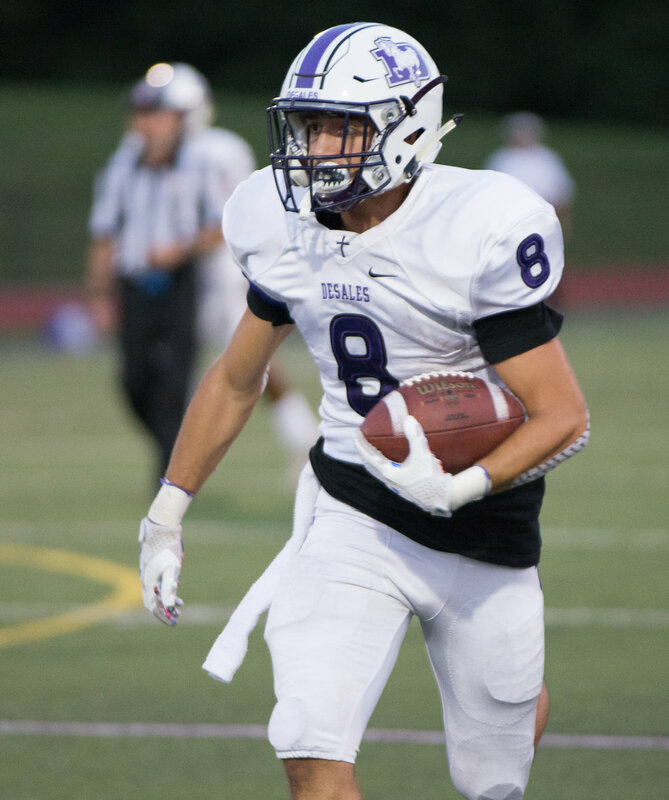 Sciarroni, a junior safety from St. Matthew, tallied 41 tackles and led the Stallions with four interceptions. Click here for the complete list of former Stallion Football players who were named Second Team All-Ohio.